Below you can view all the homes for sale in the Derby Hills subdivision located in Sandy Springs Georgia. Listings in Derby Hills are updated daily from data we receive from the Atlanta multiple listing service. To learn more about any of these homes or to receive custom notifications when a new property is listed for sale in Derby Hills, give us a call at 404-998-4017. One Level Living At It'S Finest. MLS#6524928. Atlanta Fine Homes Sothebys International. 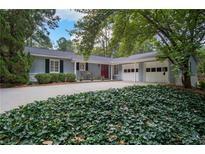 Derby Hills Neighborhood Is Minutes Away From Ga 400, Brookhaven And Buckhead. MLS#6519882. Ansley Atlanta Real Estate, Llc. Large Upper And Lower Decks With Decks Under Cover Below, Fenced In Backyard.Attached Two Car Garage.Close To Shopping! MLS#6119258. Boyce Real Estate Group, Llc..